Three weeks from today, Fabian and I will be heading to California for vacation. We'll explore the Napa Valley during the week and then head to San Francisco for the weekend. We both love San Francisco, but it's been six years since we've been there together. I was there last Spring for a brief work trip and ever since, I've wanted to return to explore this charming city and personal favorite with my love. We also decided that this year, we wanted to take trips that would allow for true rest and relaxation. Because we've been to San Francisco and Napa before, we won't feel the pressure of seeing everything in a certain amount of time. The laid-back nature of Napa should do just the trick! What could be more relaxing than sipping wine and eating some of the most delicious food in the world in a beautiful setting? I've made dinner reservations at a few old favorites as well as places we are looking forward to trying-- Redd Wood, French Blue, Press, Isa, and Wayfare Tavern. I also know that I definitely want to go back to Swanson Vineyards with Fabian. I would love any recommendations you might have for wineries to visit, activities, restaurants, shops, etc. in Napa and San Francisco. I've taken your suggestions for other destinations in the past and your recommendations are always right on the money. I'd love to hear about the places you love in Napa and San Francisco. Merci beaucoup! My husband and I were just there in November! Schramsburg was our only repeat (don't bother with any other bubbly spots!) and we also adored Round Pond and Palmaz! Enjoy! Barnett vineyards on Spring Mountain Rd, St. Helena is a must go to as well. These are all food recs. do you want activity recs, too? Taylor's Refresher and Oakville Grocery are great for quick bites like lunch. Bistro Jeanty is one of my favorites. It's casual for lunch, but intimate for dinner. FYI, the Rutherford Grill is a Houston's. You can't franchise in the valley, so they changed the name. For SF recs, we watch the show Check, Please! on our local PBS where people dine out and review it. We have gone to some amazing places thanks to it. I am linking to their website. It can give you some great ideas. Daniel and I were engaged at Far Niente during their Friday lunch. It holds a magical place in my heart. Their sister winery is Nickle & Nickle. You will love the farmhouse they had relocated to the property. Flora Springs is also personal to us. They have beautiful tasting room now. Schramsberg is a great change of pace for champagne (my fav one). The tour will take you through the process of how it's made. You may even get to saber a bottle. With Swanson, do they have the salon open to the public? That's the way to go if you can get in. Cain has an amazing property. It's worth visiting for the view alone. Coppola Winery is worth a stop. It's touristy, but it's amazing to tour with all the movie memorabilia. It's has a great gift shop and cafe. It's also just a beautiful property. A suggestion if you plan to buy wine while you are there, which is smart because it is so much cheaper. There are pack mail places you can ship cases home from. It's worth the cost compared to trying to carry home through the airport. @KelseyWiley I have heard great things about Schramsburg. Thank you! @MargitAxelrad Those are great recommendations. Everyone keeps mentioning the Oakville Grocery, so we will definitely have to stop by there for lunch. Thank you for your suggestions. @Sheri Thank you for your amazing recommendations! I will look into the wineries you mentioned. At Swanson, you have to make an appointment for the Salon or you can just pop by the Sip Shoppe. Both are lovely experiences. Is Taylor's Refresher the same as Gott's Roadside? Castello di Amorosa was our favorite winery. I loved the wine and drinking it in a castle was fun. fremont diner in sonoma!! not far from napa and it is SO good for brunch. especially if the weather is nice and you can sit outside. we also tried state bird provisions the last time we were in sf. it's booked months in advance but they take walk-ins so you can wait in line early and get in. also had amazing thai at lers ros thai which is not super fancy but is super delicious. And if you make it to Sonoma you will be so happy if you make the trip to Corner Stone! Design inspiration is at every turn! They also have some cute little shops surrounding the ground - the flower shop is a must see - and there were a couple small restaurants that looked amazing but we didn't sample their foods as we had just had lunch. Have a great time! Can't wait to hear about what you saw, tasted and experienced! Boulevard Restaurant (https://www.boulevardrestaurant.com/) is one of our favorites in San Francisco. A bit expensive but that’s because we indulge in their yummy wine list. One of my favorites in the area is Michael Chiarello's spot Bottega! It's amazing, and the Napa Style store is nearby with awesome finds. We loved the food so much, we went back the next night. Hoping you will do a re-cap after your trip! My Hubs and I are heading to San Fran in May and we've never been, so I would be thrilled to see your fav spots! @Emily Davis Yes, I will definitely do a recap and share all of my favorite spots! 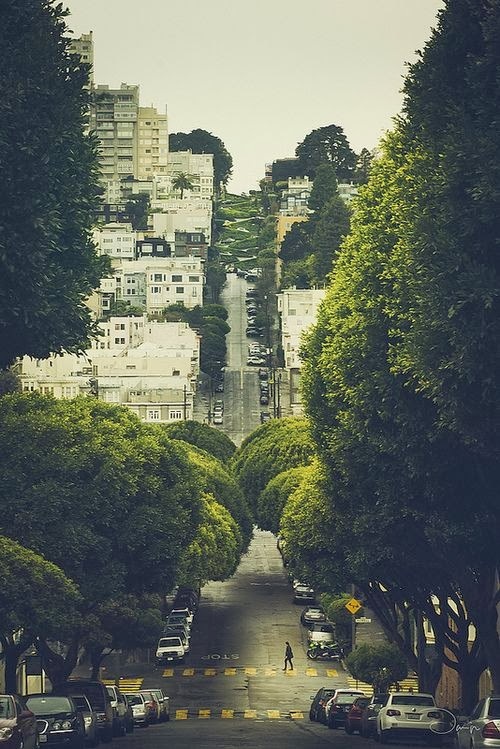 You will love SF! I haven't visited your blog in a while, but this is a subject I had to weigh in on. I grew up in Napa and now live in Sonoma County. If you want any other info or have ? 's I can message you my number or email. -Vintner's Collective is a really cool tasting room in the town of Napa. They carry SMALL labels you won't find in stores. Great wine and hosts. Ask for Andy. -Oxbow Public Market. Several restaurants, including Gott's, it's a must. Anette's chocolates and Kara's cupcakes are delicious. -Mumm: Great stop for sparkling. They have one of the best gift shops. Ask for Carlee. -Burritt Room: Charlie Palmer's restaurant in a boutique hotel (Mystic Hotel) he opened. Have so much fun! You really can't go wrong, whatever you do. Paloma, do you have any hotel recommendations for Napa or San Fran? Thank you! @Hannah Robbins Hi! I would HIGHLY recommend the Solage Calistoga in Napa. We loved everything about it. We stayed at the Hotel Vitale in SF after several friends recommended it. It's nice, but it didn't compare to the Solage. I've also heard great things about the Hotel Yountville and the North Block Hotel which is next to Redd Wood-- a must for dinner! 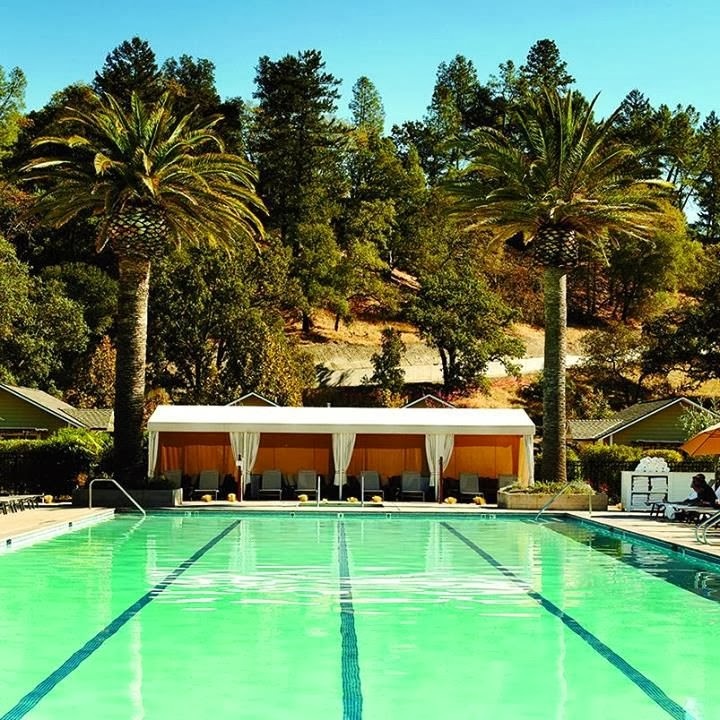 Both of those hotels are in Yountville, so you'll be walking distance to many of the best restaurants in Napa. Have a great trip!